For me a ‘belief’ is what is true, not debatable, and an undisputed fact. So, how can I, or anyone, explain how one’s beliefs can change? We believe something is not to be argued until we grow a bit older and learn that there are extenuating circumstances we either did not know about or did not understand. When a change comes what we once believed becomes thwarted with doubt and frustrations until such time as we can form another belief. Sometimes a person’s belief undergoes a radical change and what once was thought to be true and unshakeable suddenly is seen as totally false. A new belief must be in place to allow the person some stability in life. If such is not forthcoming the individual might suffer a nervous breakdown, fear, anger, jealousy or any one of a number of conditions that have a way of changing one’s life. Perhaps an example will help clarify my statement. ‘H…’ is married and she believes her marriage is secure and safe. Suddenly her husband accuses her of infidelity and seeks a divorce. The claims are totally false but day-by-day her husband’s lies to those H… thought were friends, leaves her standing alone in a community she had enjoyed. The friends chose to listen to the husband and never asked H… if what he said was true. The beliefs of many people are involved, H… her husband, and their friends. The circumstances, or the possibilities are too varied to give a simple explanation. Each reader of this sad tale can create his/her own story. The question is not one of who is right or wrong, but how have the people’s beliefs been altered? Of what value is a belief except to provide stability and give us a secure platform upon which to stand? There are many different situations occurring every day that can give us pause for reflection. I recently read about a young lady born and raised in the south. Her parents are intelligent people, devout in their particular religion and active in their community. The young lady, whom I’ll call Sarah, is in college and at the age when she is beginning to question many things. Because of the unrest in our society these days, one of the first things that came to Sarah’s mind centered on racism. She recalls that her parents taught her to accept all people regardless of color, race, religion and their beliefs, and she did. She has many friends of different nationalities, religious beliefs and skin colors. Recently she has begun to notice that earlier friends she grew up with no longer associate with her. As she pondered this situation she turned to thoughts of her own family and realized that in spite of her parent’s teachings, their friends were all white and part of the same community and beliefs. Sarah grew up with a belief she broadened to mean more than what her parents taught in a few words. Sarah has a much broader belief about racism and compassion and continues to live according to her beliefs. She is not sure just when her belief changed from what her parents really advocated. Perhaps the most impressive awareness of one of my own belief systems, how it changed and the enormous effects that plagued me for years, was my involvement with church. As a child I went to church regularly and was baptized twice; once as an infant in a church my family had attended for decades – perhaps centuries – and the second time when I was a young girl and certain I knew what I was doing. When my family moved from one state to another my grandfather and I found a church in our neighborhood and I continued to go to worship services until we moved again. A few years later, when in my early teens a classmate invited me to go to Sunday School and church with her, I gladly agreed. The day I had my pledge to join the church in hand, I arrived for Sunday School early and heard my Sunday School Teacher talk with a few boys in my class about the “dirty Japs” and the “rotten Germans.” (This was in the early days of WWII.) I was not just surprised, I was shocked, stunned!! I went to the church service but was weighted down with questions about my belief in the teachings of Jesus the Christ. Why did the Sunday School Teacher, who was a church member, remind us in class of the teachings of brotherhood, compassion and unconditional love, yet speak as she had and with such vehemence in her voice? I did not return to a church for a number of years. For years I wrestled with what I saw and heard, never doubting my belief but wondering about those who professed one thing but acted differently. I spent years studying The New Testament, read books about the life of Jesus, took university courses on religion, and asked questions of ministers and a priest. When I asked the priest, “Who is God? What is God?, and Where is God?, he just looked at me and said, “I don’t know.” I spent the next 45 years going to different churches, always looking for someone who not only believed that the teachings of the Christ were valid, but lived accordingly to some degree of attainment. At least I never expected people to voice opinions contrary to Christ’s teachings outside of church and in the same breath tell me I would “go to straight to hell” if I did not believe as they did because they were “Christians” and knew their “belief” was the Gospel truth. I was not looking for perfection, but wondered if it could be so difficult to speak kind words to others while working on compassion for all. There have been other situations involving the leaders of churches where I have lived on two continents. It seems to be the same all over but several things come to my mind. Should I let a childhood experience color the rest of my life? No! Should I let other experiences, though disturbing at the time, control my beliefs? Again, no! There are advantages to retirement. We are given an opportunity to review much of our past and learn from the lessons, if we will. I know that none of the experiences I’ve related changed my soul beliefs one bit. I still read/study the Bible, but concentrate more on The New Testament. I continue to study various aspects of the Bible, and read articles and books when they come my way about the life of Jesus and other messengers. I look more for the similarities than the differences, and I never seem to be surprised when I find my beliefs are rock solid and the same as so many others. It does not matter what others believe, say or do. Rarely do their words or actions affect me unless I invite them into my life. Frequently I hear about small and monumental acts of kindness, brotherly love, consideration, sympathy and humanity – all of which are synonyms – of hundreds of people towards complete strangers, some of who are of different skin color, different nationalities and different religious beliefs. My core beliefs remain the same but many of my attitudes have changed. I don’t expect anyone to believe as I do. The choice is theirs. As for me, I’ve not given up going to churches. I enjoy the companionship of others who look on the bright side of life, and I’m sure I will find nothing less. We have many beliefs in addition to our belief about a Supreme Being. We have beliefs about traffic laws, laws about abortion, laws about marriage, beliefs that govern the way we eat, drink, dress and political beliefs about our government. I have mine but I don’t expect everyone to have the same. We are individuals. I will not hesitate to talk about my beliefs if asked because a person’s belief is a vital part of what makes him or her who and what he or she is. I am at peace with my beliefs that must fill my mind, heart and soul. I know that I can worship, meditate and pray wherever I am. Bless you for being true to what you believe! Rowena Nichols, RN, Dr. MMT, PTA. Registered Nurse with BS in Nursing, Dr. of Medical Massage Therapy, and Physical Therapy Assistant(Certification). 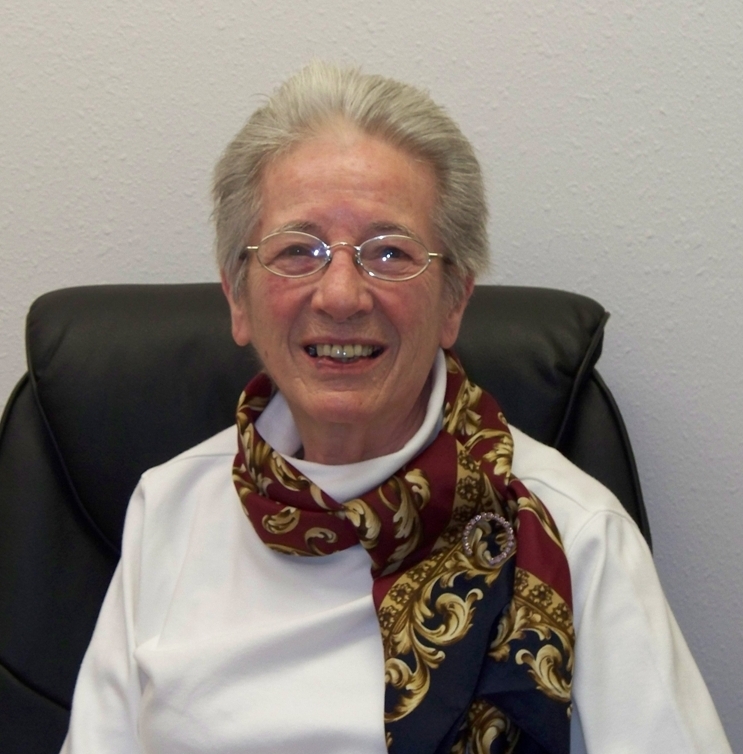 Beyond the use of her mass credentials, she has had a “full and rewarding life,” including living and teaching in Chile and returning to nursing at age 80. Currently, she is writing articles for several Newsletters and magazines, including problem solving for tutors of English at a Literacy organization in New Mexico. She recently celebrated a book release, Wired for Changes: My Recovery from a Stroke. Send your request and a bank check or money order for $10.95 to; Rowena Nichols, P.O. Box 65552, Albuquerque, NM 87193. Shipping is included.